The badest Ferrari made in 1953. Special? 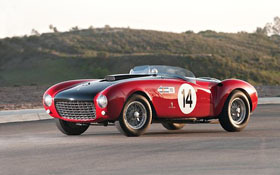 These cars were made for the Mille Miglia using a 375 body a 4.5 liter V-12 that produced roughly 340 hp. RM just sold one in Monaco for 2.9 million Euro ($3.57 Million).